Webinar technology hasn't really changed drastically in the last few years, but online promotion and marketing strategies have. Getting noticed is more difficult in the crowded space of online content. You can do a bang up job of promoting your webinar—follow every step to the letter—but if your topic isn't compelling and valuable to your audience, you won't get the response you're looking for. This is why the planning phase is so important. Make sure you have a great presentation first, then it's time to get the word out. If you use other platforms, you can probably find a way to integrate your webinar registration form with whatever platform you use. This helps streamline your process and keep your registration/lead data in your marketing automation software. Write an engaging description so that people can't help but sign up. Make sure you explain why this topic is important (or should be) to your audience and what they'll benefit from it. Limit the number of fields to encourage sign-ups. Too many fields in the form will scare people away. As a general rule, start with three main fields for your submission form: name, email, and company. What happens when someone registers for your webinar? Do they get a confirmation email? Do they get redirected to a Confirmation or Thank You page? Do they get a reminder email or two before the day of the webinar? When you test your landing page and registration form, pay close attention to the smallest details. If you're using the automated follow-up emails from your webinar platform, take the time to update and customize those emails. When you complete the registration form, direct the user to a Thank You page that reassures the user they will receive an email and reminders with details on how and when to join the webinar. Use the Thank You page as an opportunity for another point of contact or engagement—watch a video, subscribe to the blog, etc. After you send the first email (about a month before the event), it's a good idea to send a reminder email or two to those who haven't registered. The next step is to run targeted social media ads to website visitors and other custom audiences. LinkedIn and Facebook are two good places to start social ad campaigns for a webinar. You can build custom audiences on Facebook using demographics and tracking. Facebook requires a great deal of data from every person who sets up an account—location, age, and interests are just some of the things people willingly put in their profile that can be helpful to advertisers. All of this data makes it easy for Facebook to target ads that will seamlessly mesh with their users' profiles. So if your target audience for the webinar is marketing professionals who work in the healthcare industry, for example, you'll be able to direct your Facebook ads just to those people. Here's a Facebook Ad Primer for Beginners to help you get started. "Last day to register, there's still time..."
Run your ads every day until the webinar for a set budget, per day per network, that works for you. Test your ads to see what performs the best, and then adjust your ad campaigns accordingly. We generally test one element at a time, such as an image or the CTA button text. Here's where you can add a personal touch to your marketing. If you have some clients that you know would benefit from your webinar, pick up the phone and personally invite them or send them an email. Take a look at your sales leads (especially those that you haven't met in person) and make contact. It's a great time to reach out when you can offer something valuable to a prospect. You never know, that personal contact and demonstration of your expertise might nudge them to become a client or customer. If you have a guest presenter, ask them to write a related blog post and then publish it as a guest blog post. We don't recommend simply writing an ad for the webinar disguised as a blog post. Rather, offer valuable content that ties into the subject in a natural way. For example, if your webinar is "The Marketer's Guide to ADA Compliance for Websites" the blog post could be titled "ADA Compliance: Would Your Website Pass?" Include at least two calls-to-action and links to the webinar in the blog post. Example: Want to learn more? Register here for the March 30 webinar "The Marketers Guide to ADA Compliance for Websites" to get in-depth information on this topic. You can use that strategy in reverse, as well. Offer to write a guest post for a strategic partner, and be sure to include links and CTAs to register for your webinar. Whatever platform you have, use it. We have a very active podcast, SpinRadio, so naturally we'll promote webinars, workshops and other events on the podcast and encourage listeners to register at the landing page. Maybe you have a weekly video series or newsletter—use it to promote the webinar. Always give your audience a detailed action step: register today at (url). Make it easy for them to sign-up. If you're active in a LinkedIn group or professional group that meets in person, share the webinar with the group if the topic applies. Perhaps you have professional Slack channels that you're active in, share the webinar link in the channel (or to individuals in the group, if that seems too spammy). Once the webinar is over, you can still use it and promote it! All of that work creating and presenting the webinar can drive more content for your blog, webcast archives for watching on demand, a downloadable guide—you've got lots of options. 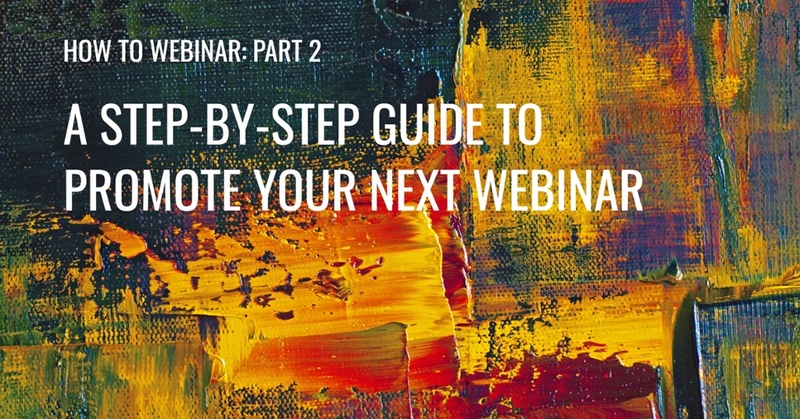 Think about all of the ways you might want to use the webinar after it's over. Do you want to direct registrants to a video page with the recorded webinar, with transcript and downloadable handouts? Do you want to invite those who weren't able to attend the live webinar to this page? You can embed the video in a blog or recycle the topic for your next video series or podcast. We like to use Wistia for hosting our recorded webcasts because they have a really nice feature for capturing leads. You can still embed the video wherever you like, but with Wisita, we can require the visitor to enter an email address to watch the video. I like to encourage all of our clients to make webcasts part of their digital marketing plan. It's a great way to engage with prospects and your client base. 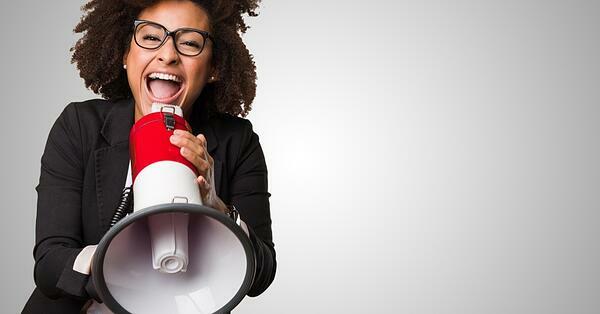 Commit to a robust promotion strategy for your webinar and you'll reap the rewards. Please visit the SpinWeb Webcast Achives here to see some of our past presentations.